The disinformation campaign in some British media and political circles about a supposed flood of Bulgarians and Romanians that will deluge the United Kingdom in 2014 when labour market restrictions are lifted plunged to new levels of absurdity as some minority parties in Bulgaria sought to exploit it as a vote-getter. Volen Siderov, leader of Bulgaria’s ultra-nationalist Ataka party, noted for – among other things – the party’s xenophobia, has called for a boycott of British goods and for a moratorium on the sale of Bulgarian real estate to British people. Siderov, whose party’s fortunes have been declining steadily amid a series of scandals in the past year and who may not return to Parliament after the mid-2013 national parliamentary elections in Bulgaria, seized on the anti-Bulgarian campaign in a television interview on February 4 2013. He said that his party would hold a protest outside the UK embassy in Sofia on February 7. Picking on one of Siderov’s other favourite bête noire, the Foreign Ministry, he said that the British ambassador should be summoned to be handed a note that “these actions” were in violation of European norms. Siderov said that Britain always had been hostile to Bulgaria. This dated back to when Britain had wanted Bulgaria to remain within the Ottoman Empire, he said. “This is a nation that has always hated us and never wanted us to exist,” Siderov said, adding that all the acts of Winston Churchill, whom the ultra-nationalist described as a “degenerate alcoholic” were aimed at the destruction of Bulgaria. Warming to his theme (and perhaps the, however unlikely, prospect that British press hysteria might get Ataka a few votes) Siderov went on to a few more nasty comments about “English tourists who get as drunk as pigs in Sunny Beach” and “the British who come to Bulgaria and think that they are the masters and the local Aboriginal population must fulfil their desires”. British people coming to buy property in Bulgaria should be given a hostile reception. Russians should be given visa exemption for Bulgaria but, in turn, Sofia should require visa applications from British people, Siderov said. The hysteria about the alleged prospect of Bulgarians and Romanians deluging Britain next year also provided an opening for Bulgaria’s opposition socialists. In an interview, socialist MEP and former foreign minister Ivailo Kalfin told mass-circulation daily Trud that he and a Romanian social democrat MEP, Catalin Ivan, had written to European Commission President Jose Barroso urging the European Commission to ensure compliance with EU law. 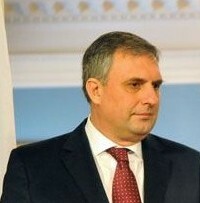 Expressing his concern about what he called the groundless smear campaign against Bulgarians, Kalfin said that all the hubbub in the UK was because of the elections next year and the referendum on British EU membership and suggested that Bulgaria should require precise data on the number of Bulgarians, who were causing problems to the UK. Barroso, speaking in Brussels on February 4 after talks with visiting Romanian prime minister Victor Ponta, said that the UK had not called on the EC to impose new restrictions on Bulgarian and Romanian workers. Barroso said that rules in the EU were valid for each member state and this was an important principle of the bloc that should not be violated, Bulgarian National Radio reported. Barroso said that he would not respond to “hypothetical questions”. He had received no letter from the UK on the topic and added, “the rules must be respected by all countries in the EU. This is a very important principle of the EU – compliance with the agreed rules that are binding on the parties,” Barroso said.